You will not meet many who can boast the distinction of being brought up on the teeming thoroughfare of Bishopsgate but Vivian Betts is one who enjoyed that rare privilege, growing up above The Primrose on the corner of Primrose St where her parents were publicans from 1955 until 1974. Yet it was a different Bishopsgate from that of the present day with its soaring glass towers housing financial industries. In her childhood, Vivian knew a street lined with pubs and individual shops where the lamplighter came each night to light the gas lamps. Vivian knew Bishopsgate before the Broadgate development swallowed up the entire block between Liverpool St and Primrose St. And as we walked together past the uniform architecture, she affectionately ticked off the order of the pubs that once stood there – The Kings Arms, The Raven and then The Primrose – with all the different premises in between. When we reached the windswept corner of Primrose St beneath the vast Broadgate Tower, Vivian gestured to the empty space where The Primrose once stood, now swallowed by road widening, and told me that she remembered the dray horses delivering the beer in barrels on carts from the Truman Brewery in Brick Lane. In this landscape of concrete, glass and steel, configured as the environment of aggressive corporate endeavour, it was surreal yet heartening to hear Vivian speak and be reminded that human life once existed there on a modest domestic scale. Demolished finally in 1987, The Primrose had existed in Bishopsgate at least since 1839. 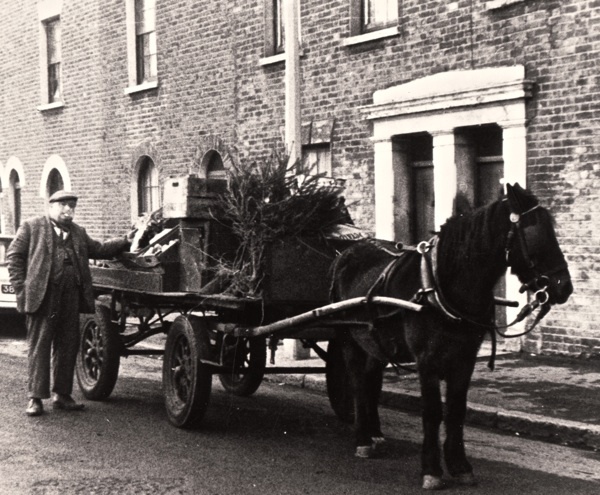 “My brother Michael was born in 1942, while Bill my father was away in the war, and Violet my mother got a job as a barmaid, and when he came back she said, ‘This is how I want to spend my life.’ Their first pub was The Alfred’s Head in Gold St, Stepney, in about 1946, and she told me she was washing the floor there in the morning and I was born in the afternoon. We left when I was three and all I remember of Stepney was walking over a bomb site to look at all the caterpillars. In 1955, we moved into The Primrose at 229 Bishopsgate, directly opposite the Spitalfields market – you could look out of the window on the first floor and see the market. My first memory of Bishopsgate was lying in bed and listening to the piano player in the pub below. We had three pianos, one in the public bar, one in the first floor function room and one in our front room. On Sunday lunchtimes at The Primrose, it was so busy you could hardly see through the barroom for all the hats and smoke. I used to go to Canon Barnet School in Commercial St and, from the age of seven, my dad would see me across Bishopsgate and I’d walk through the Spitalfields Market on my way to school where the traders would give me an apple and a banana – they all knew me because they used to come drinking in the pub. It was a completely Jewish school and, because no-one else lived in Bishopsgate, all my friends were over in Spitalfields, mostly in the Flower & Dean Buildings, so I spent a lot of time over there. And I used to come to Brick Lane to go the matinees at the cinema every Saturday. Itchy Park was our playground – in those days, the church was shut but we used to peek through the window and see hundreds of pigeons inside. My dad opened one of the first carveries in a pub, where you could get fresh ham or turkey cut and made up into sandwiches and, in the upstairs room, my mum did sit-down lunches for three shillings – it was like school dinners, steak & kidney pudding and sausage & mash. 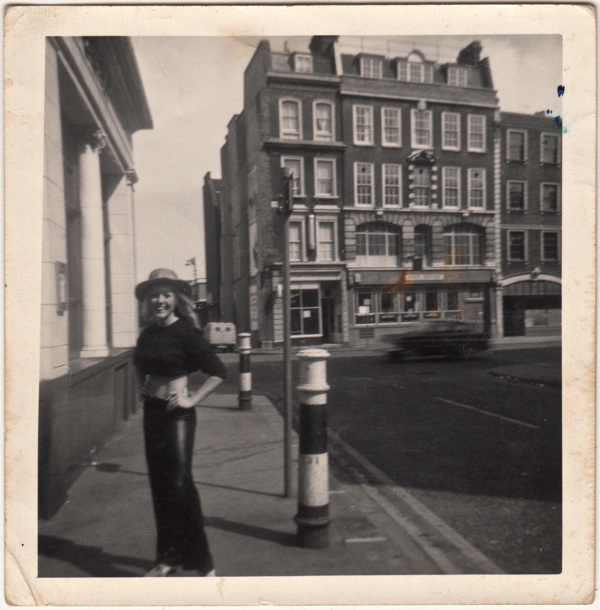 She walked every day with her trolley to Dewhurst’s the butchers opposite Liverpool St, she got all her fruit and vegetables fresh from the Spitalfields Market, and she used to go to Petticoat Lane each week to buy fresh fish. 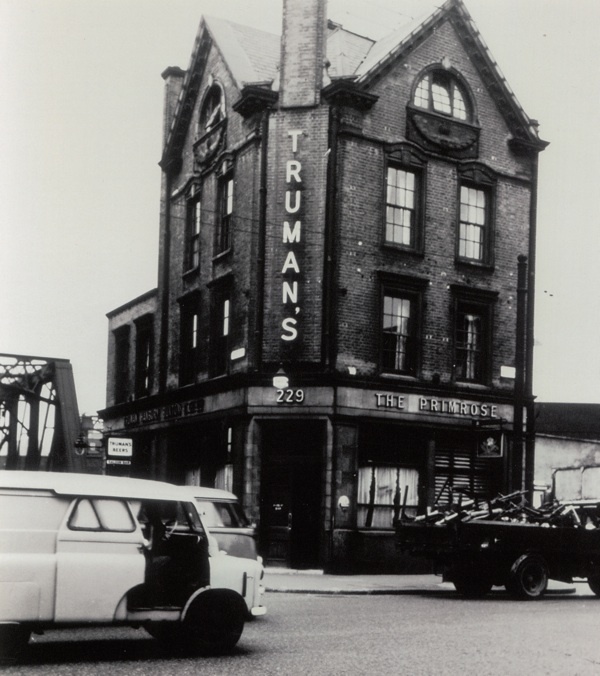 Then in 1973, Truman’s wrote to my dad and gave him a year’s notice, they were turning the pub over to managers in April 1974, so we had to leave. But I had already booked my wedding for July at St Botolph’s in Bishopsgate, and I came back for that. 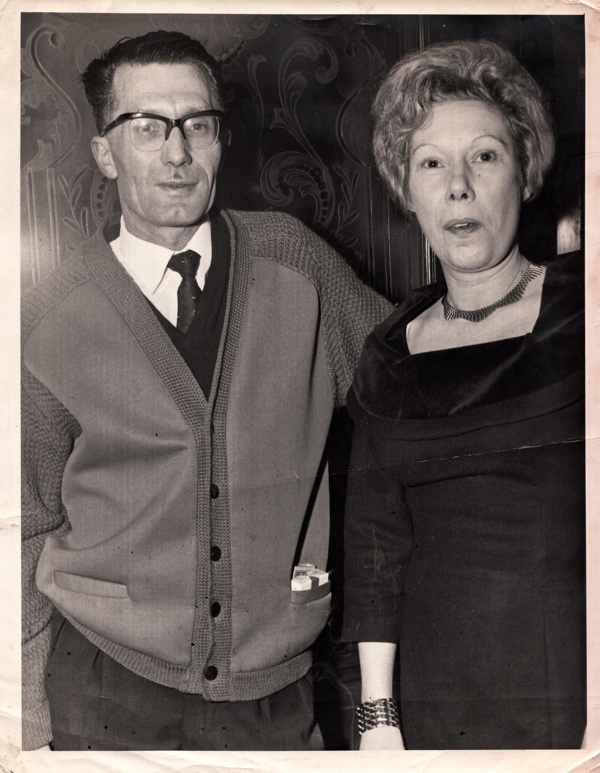 Eighteen months later, in 1976, my mum and dad asked me and my husband to go into running a pub with them. It was The Alexandra Hotel in Southend, known as the “Top Alex” because there were two and ours was at the top of the hill. 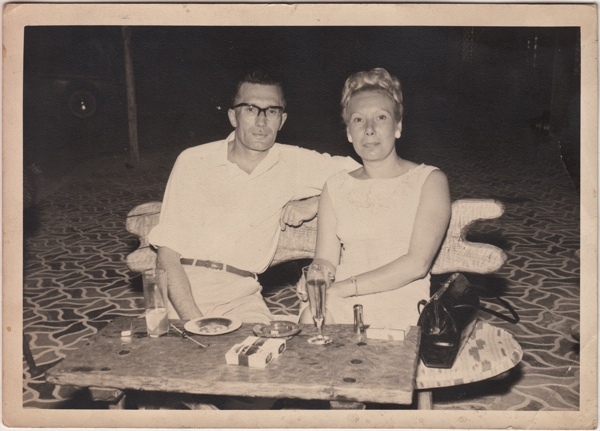 Three months after we moved in, my dad died of cancer – so they gave it to my mum on a year’s widow’s lease but they said that if me and my husband proved we could run it, we could keep it. And we stayed until 1985. Then we had a murder and an attempted murder in which a man got stabbed, and my husband said, ‘It’s about time we moved.’ And that’s when we moved to our current pub, The Windmill at Hoo, near Rochester, twenty-eight years ago. We had a brass bell hanging behind the counter at The Primrose that came off a train in Liverpool St Station which we used to call time and we’ve taken it with us – all these years – but though we don’t call time any more, we still use it to ring in the New Year. Vivian told me that she often gets customers from the East End in The Windmill and they always recognise her by her voice. 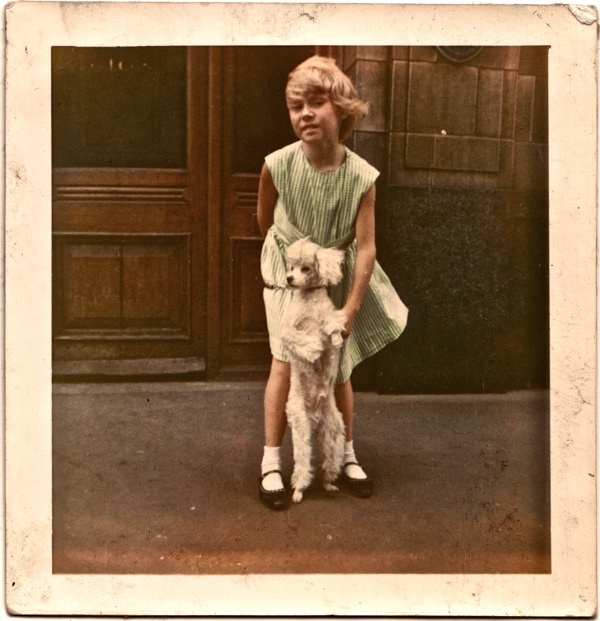 “They say, ‘We know where you come from!’” she confided to me proudly. The Primrose, 229 Bishopsgate, as Vivian knew it. 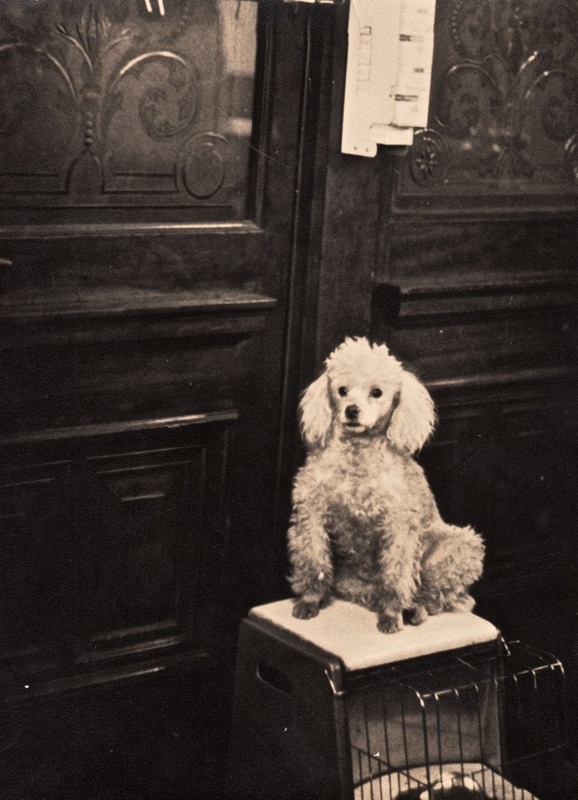 Toto sits on the heater in the panelled barroom at The Primrose. Vivian at Canon Barnet School in Commercial St.
Vivian stands outside The Primrose in this picture, looking east across Bishopsgate towards Spital Sq with Spitalfields market in the distance. 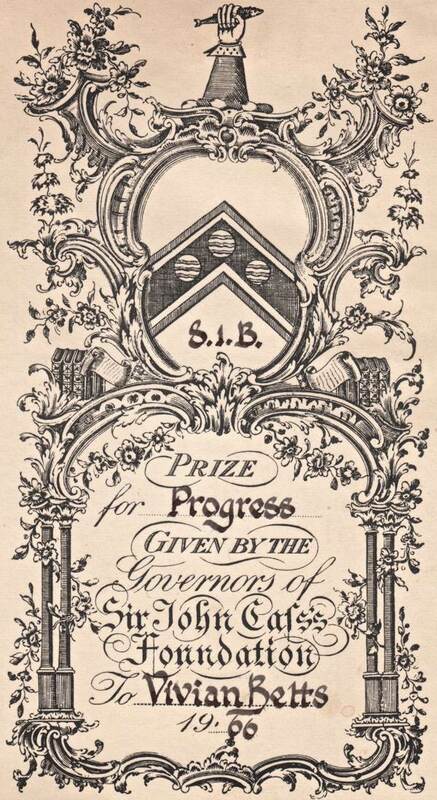 Vivian was awarded this certificate while a student at Sir John Cass School, Houndsditch. Vivian on the railway bridge, looking west towards Finsbury Sq. Vivian outside the door which served as the door to the pub and her own front door. 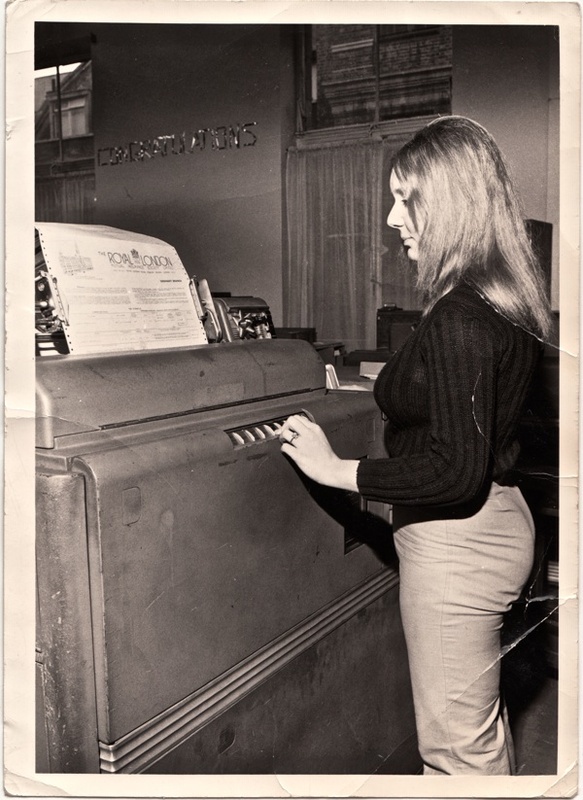 Vivian prints out a policy at the Royal London Mutual Insurance Co. in Finsbury Sq. 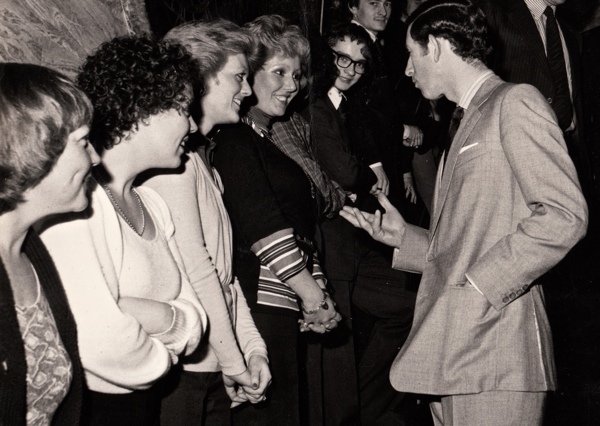 “And what do you do?” - Vivian meets Prince Charles on a visit to Lloyd Register of Shipping in Fenchurch St.
Bill & Vi Betts in later years. 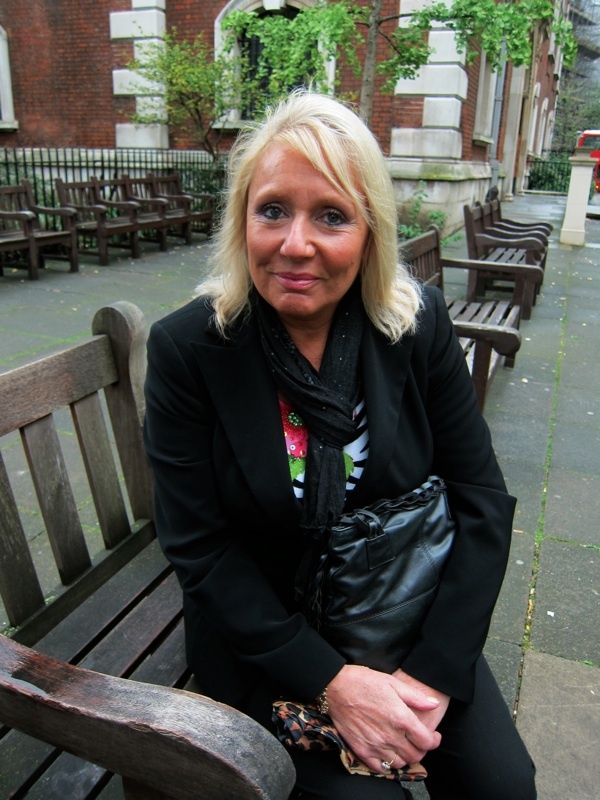 Vivian Betts at St Botolph’s Bishopsgate where she married her husband Dennis Campbell in 1974. The Primrose in a former incarnation, photographed in 1912. 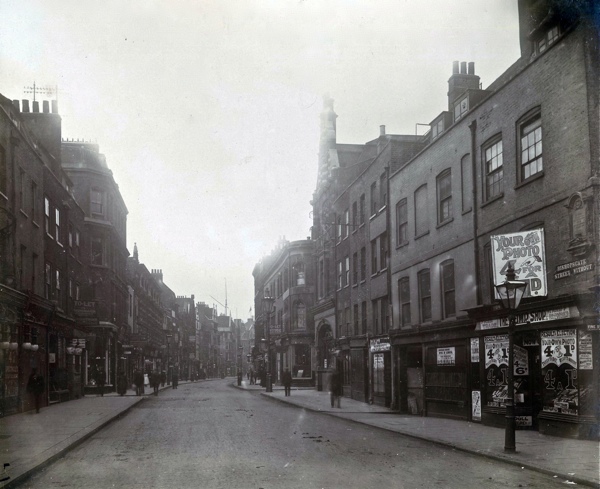 Bishopsgate with The Primrose halfway down on the right, photographed in 1912 by Charles Goss. Thanks for lovely story from Viv. I can’t recall going to the Primrose but probably did. We used to meet up at the Black Raven nearby. To a lot of people it was a scary place and they avoided it as it was the pub solely for the last remaining authentic Teddy Boys in London on a Friday night. As the evening wore on it would get wild with the men line dancing in their stove pipes, crepes and greased back hair and their ladies withe beehives and mini skirts usualy standing and watching in admiration. The atmosphere was elecrtic as the whole pub was virtually bouncing to the juke box pumping at full volume Jerry Lee, Bill Haley, Elvis and Little Richard. despite the wild atmosphere I seldom recall any real trouble or exessive drunkenness but we never stayed there until closing as we moved on to other places. It was a great way to start the weekend . Sadly another long forgotten pub . I often wonder where the Teds went after it closed when they rebuilt Bishopsgate and Norton Folgate . A great story. I went to school at Sir John Cass and was in the same class as the daughter of the publican of The King’s Head, just along Bishopsgate. Happy memories. Lucky person! Sounds like a great growing up – in a proper pub! 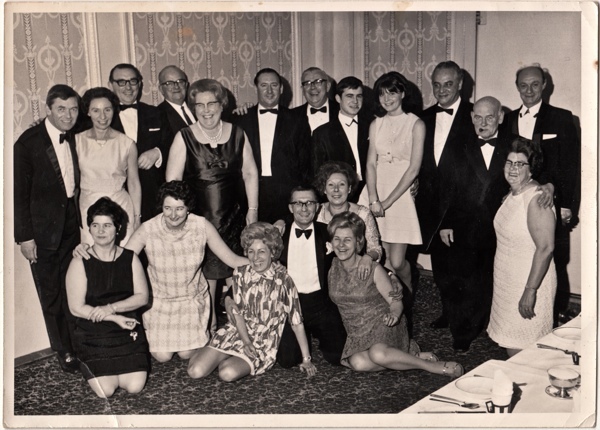 My uncle Aubrey Morris started the travel agent in Bishopsgate in the 1960s, one of the early pioneers of travel making it accessible to ordinary working people. Both my parents worked in his business and I spent many school holiday days playing in the office while my parents worked. I have fond memories of Bishopsgate and the area around there. Enjoyed this story today and especially to see a picture of girls at Lloyd’s Register of Shipping. 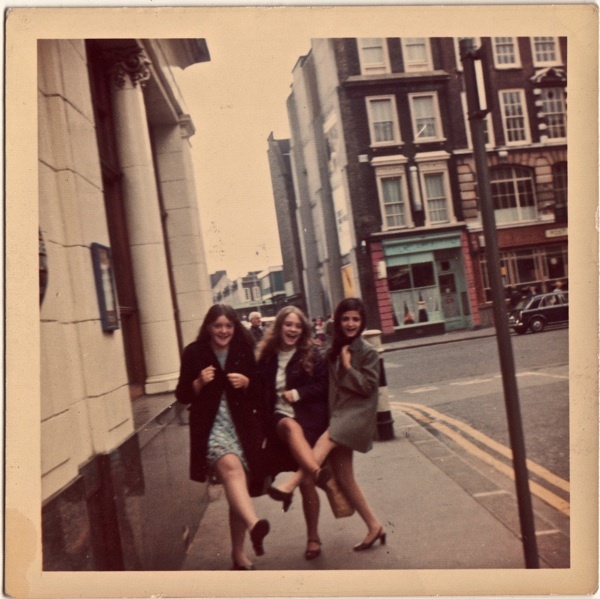 I was there 1969-70, I wonder when Vivian was there? GA, what a delightful story of life in Bishopgate, now long passed. So much detail of pub life in another era. 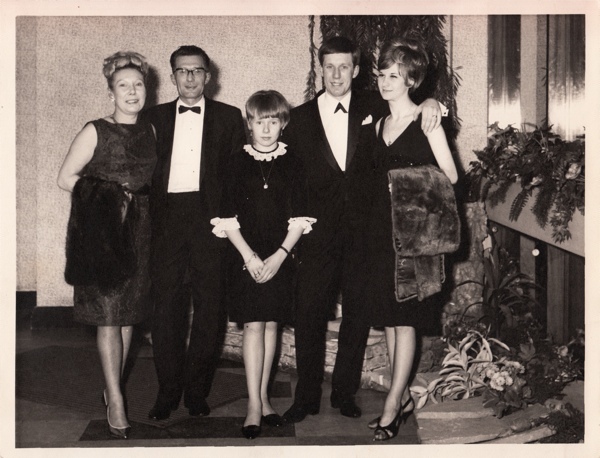 And what a handsome and happy looking family they were. James Ince & Sons Umbrellas were over the road from the pub and our old building is in the black and white shot with you in your big hat. 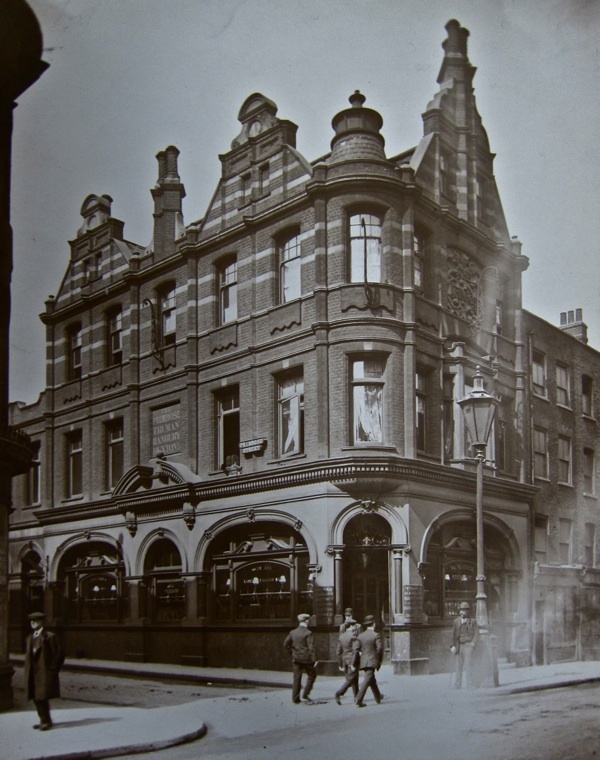 Remembering Prescotts in Spital Square and The Alma Restaurant. I was too young to have been in the pub but remember the building well. We moved out in ’85 so missed the demolition of all the buildings in the pictures. They filmed Mona Lisa (Bob Hoskins, rip) in Primrose St and the Queen used to go down there on her way to platform 9 for the Royal Train going to Sandringham!! A wonderful story from another world, the characters and social fabric of the area forced away forever. Ms Betts could certainly get away with those 60s skirts! A lovely story, unfortunately blighted by that last photo. 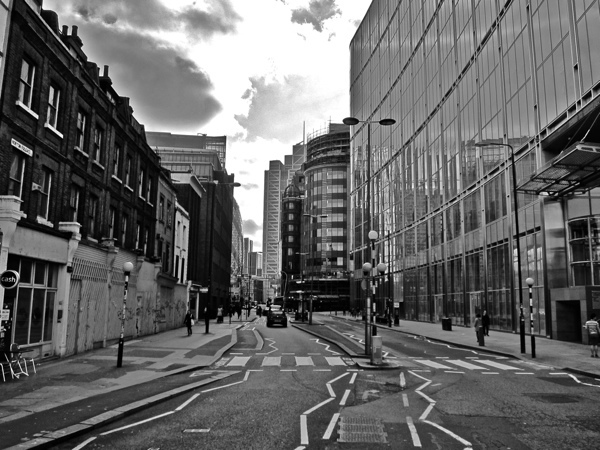 Modern Bishopsgate – motto: humans not welcome. Great nostalgic story. Would love to hear your accent. Wonderful story, the clothes everyone wore really took me back ! The windows of my office overlook the soulless glass-and-concrete canyon that is Primrose Street today. Nothing remains in my sight, of the landmarks in those photographs, save the girders of a bridge across the railway. Someone, somewhere, considers themselves richer by this: I cannot begin to describe the poverty that exists within them. 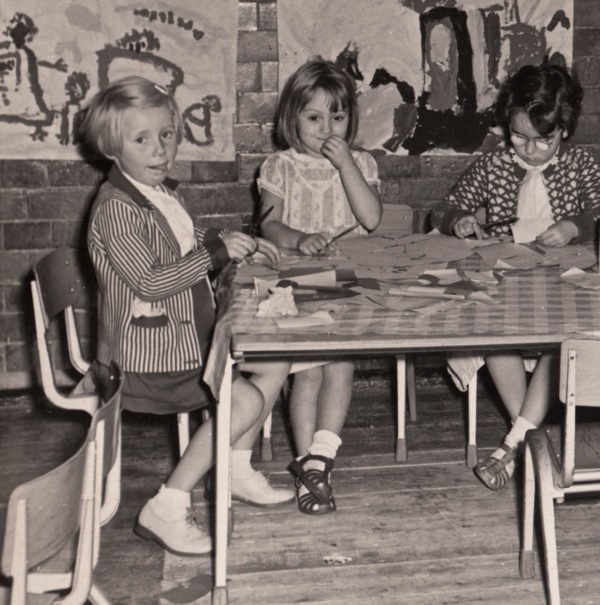 I knew Vivian when we first went to nursery at Canon Barnet and that’s me sitting next to her in the photo. We grew up together and were always in and out each other’s houses. Even though Viv lived in a pub it didn’t seem weird to me and I remember I would stay there on a Saturday night and we would sneak downstairs when there were live bands on and watch through the door even though we were supposed to be upstairs lol. When we were 11 we went to different senior schools but still hung around together. Unfortunately I moved to Bethnal Green when I was 12 and we lost touch. Such warm memories of a great childhood and teenage years. A whole different world to how it is today. Used to go to The primrose on a Saturday night with my wife to be Doreen Delaney and her friend Gwen Judge and Gwens mum cissie. The all lived in Peabodys in Commercial Street. I used to be in the same class as Michael at Robert Montefiore. Enjoyed reading your story and looking at the old photos. Spitalfields very trendy these days.